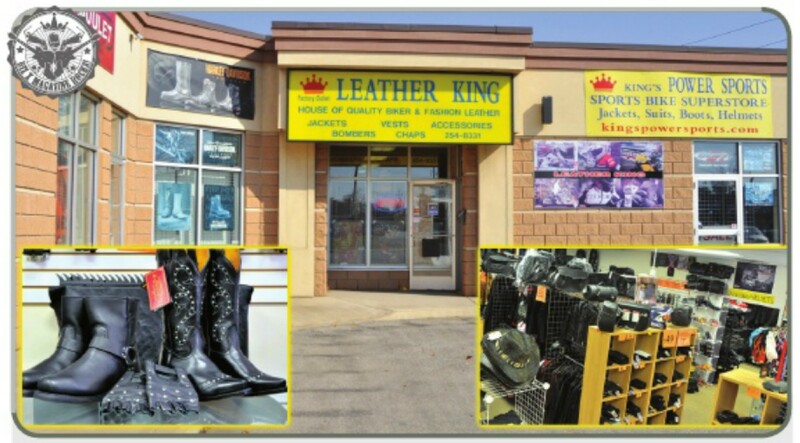 Leather king is a leading establishment, specializing in Motorcycle and Sports Bike gear. We offer the newest most stylish apparel at affordable prices in both brand name and generic selections. This includes our renowned selection of helmets, boots, belts, chaps, leather jackets, textile jackets, textile pants, vests, belts, an enormous selection of gloves, bike bags, saddle bags, patches, stickers, dirtbike gear, sports bike gear, and MUCH MUCH MORE! !